The law was approved with 57 votes to 48 on Tuesday, according to Press TV/Al Ray. Observers have blasted the law as a vehicle to enable crackdowns on organizations seeking to use such funds to bring about equality for the Arab public. 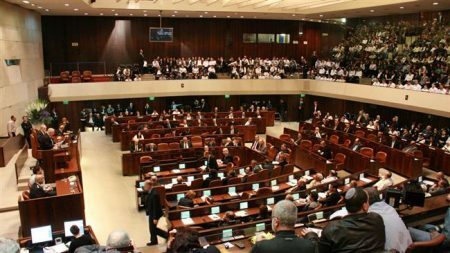 Prime Minister Benjamin Netanyahu, however, claimed the law’s goal was “to prevent an absurd situation in which foreign states meddle” in Israel’s affairs by funding NGOs. The premier himself is suspected of having accepted more than USD one million worth of “donation” from a French fraud brain. Back in March, it was reported that Netanyahu had had shady relations with a French individual who has been convicted of fraud and sentenced to eight years in jail. Netanyahu is also the subject of a police investigation into whether he had received illegal contributions from foreign businessmen during his current tenure.